Tapco ridge tiles provide the pefect solution for those looking to achieve a professional, flatless appearance on their apex roof. 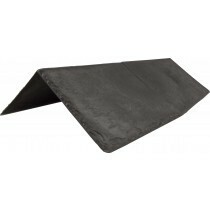 They are purposely designed to accompany the Tapco Synthetic Slate Roof Tile, whether you're fitting it onto a simple apex roof or 5 way conservatory. 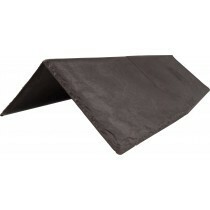 Taco ridge tiles are wonderfully easy to install and offer the same superb durability as their roof tiles. This made possible by their plastic build, which is incredibly lighgweight and resistant to rust. Whether you're a DIYer or tradesman, fitting Tapco roof tiles could not be any easier thanks to their range of ridge tiles. The Tapco roofing system also provides a 40 year guarantee and has been fully tested to BBA standards. Have More Questions About Tapco Ridge Tiles? 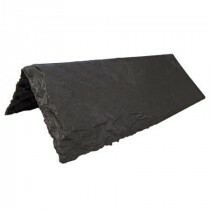 If you have more questions about our range of ridge tiles, speak to ur team online or by telephone. With over 40 years of experiecne in roofing, we'll help answer your questions about our Tapco roofing products. We will also help you pick the necessary fixings and flashings for your project.